So it isn't a complete surprise when Sawyer sprouts spikes and a tail before the start of fifth grade. After all, his grandfather was part stegosaurus. Despite the Principal's Zero Tolerance Policy, Sawyer becomes a bully magnet, befriended only by Elliot aka "Gigantor" and the weird new girl. 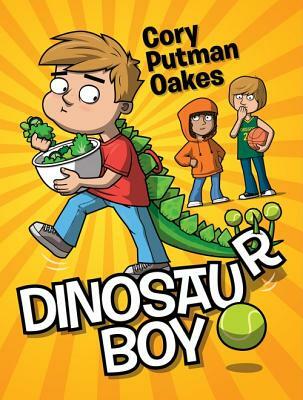 When the bullies start disappearing, Sawyer is relieved-until he discovers a secret about the principal that's more shocking than Dino DNA. The bullies are in for a galactically horrible fate...and it's up to Sawyer and his friends to rescue them.